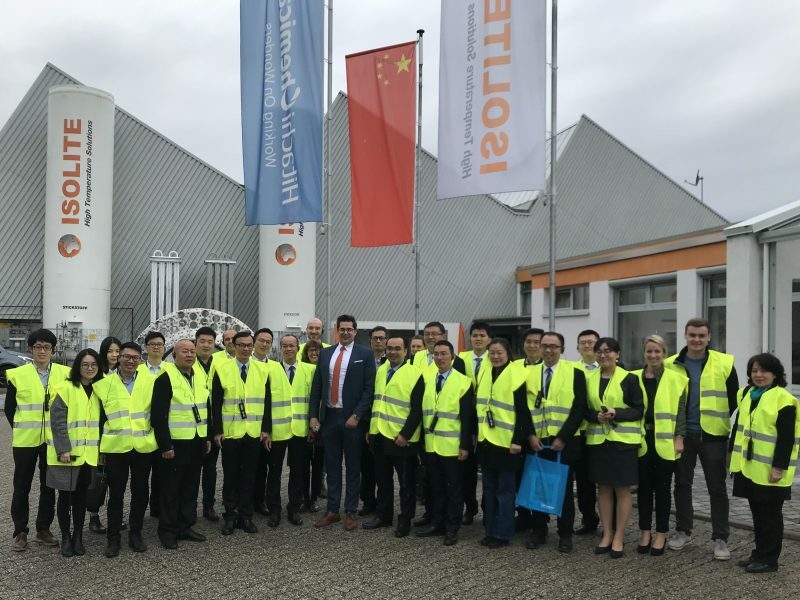 On Wednesday, 3rd April, as part of the German-Chinese Industrial City Alliance (Industriestädteallianz), ISA for short, 25 delegates visited the ISOLITE main and technology centre in Ludwigshafen. Among the Chinese visitors were representatives from the ISA cities of Foshan, Ma’anshan, Nansha, Weihai, Nanning, and Maoming. Managing Director Matthias Kroll greeted the delegation and introduced the guests to the world of high-temperature insulation. “Today’s event is an enrichment for all participants. We would like to thank you for the opportunity of presenting our company in this way”, says Matthias Kroll. During the tour of the production halls which followed, the technologically interested guests from China posed numerous questions about the production process and about a possible location in China. “ISOLITE already has eleven locations worldwide. At the moment, we are checking whether a further location in China will be included”, adds Christian Lott, Vice President of Sales & Marketing. The ISA network, made up of 20 German and 22 Chinese industry locations, has the aim of promoting exchange and cooperation between Chinese and German companies and academic and research institutes, and of developing economic fields of growth together. The aim of the Alliance is to connect the qualitative advantages of “Made in Germany” with the quantitative strengths of “Made in China” and to make use of the synergy effects that this creates. The member cities are represented by their business development, in Ludwigshafen the WirtschaftsEntwicklungsGesellschaft Ludwigshafen am Rhein mbH (W.E.G. ).